The Federated Wireless team continues to lead the shared spectrum wave, and, in doing so, sets up the United States to lead the 5G wave. This was an initiative President Trump outlined late last year, and we gladly accepted the challenge. We recently filed a document in response to the National Telecommunications and Information Administration’s (NTIA) Request for Comments on developing a sustainable National Spectrum Strategy that ensures sustainable access to the Nation’s scarce spectrum resources for all users who need it, including Federal and non-Federal stakeholders. Those in the industry know that 5G is coming. 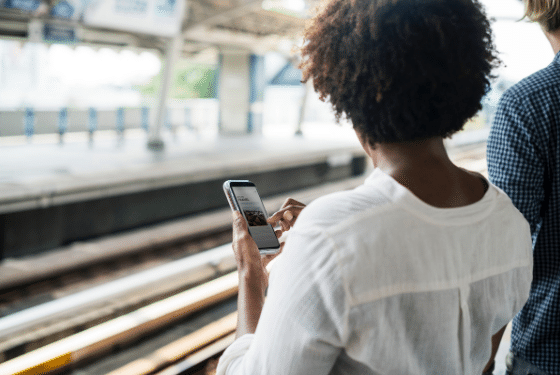 The next gen in mobile connectivity has been making headlines for years with commentary from those who think it’s almost here to those who think it’s a few years off. No matter your mindset, players – large and small – are preparing for it. The demand for spectrum capacity to build out our nation’s 5G network is so high, President Trump put out a Presidential Memorandum last October calling for a comprehensive national strategy for managing spectrum resources. The President called on several departments and agencies to develop a solution for harnessing the potential of 5G. The Memorandum calls for a report on the status of existing efforts and planned near- to mid-term spectrum repurposing initiatives. The document Federated Wireless submitted was in response to the President’s call to action and NTIA’s request for comments. As the National Spectrum Strategy is developed, we strongly urge NTIA to fully utilize automated, dynamic spectrum management and sensing technologies, such those embedded in the Spectrum Access System (SAS) and Environmental Sensing Capability (ESC), that have been designed to administer the multi-tier sharing regime and protect critical Federal incumbent operations in the CBRS band (3550-3700 MHz). Dynamic sharing technologies are the future of spectrum management, will facilitate U.S. leadership in 5G, and are crucial to the successful implementation of a sustainable National Spectrum Strategy. The legacy “clear-and-auction” approach to spectrum management is not sustainable given the cost, time to implement and interruption to the Federal mission, none of which aligns with the President’s request to be the first to roll out 5G. Spectrum sharing technologies must be leveraged to achieve this. The framework developed for CBRS is a testament to how sharing technologies can be used to support varied applications in a single band, balancing the needs of Federal users, incumbents, new licensed users, and unlicensed users. This SAS-enabled sharing model can and should be replicated in other frequency bands as part of an effort to develop and execute a sustainable National Spectrum Strategy. Dynamic spectrum sharing technologies will play a pivotal role in improving the predictability of spectrum access for all users, expediting coordination of shared use, and implementing a spectrum management paradigm that meets the needs of both federal and commercial users. The CBRS SAS utilizes location and technical operating parameters from user equipment, together with collected sensor information, to manage users and make spectrum available to whomever needs it. It’s also smart. So the more you use it, the more data it collects, the better it gets at managing spectrum. This data will significantly expedite the process of both assessing spectrum use and coordinating shared access. Additionally, the SAS conducts spectrum usage assessments in seconds, among other things. We go into great detail on the automation benefits of SAS in our response. The National Spectrum Strategy should leverage dynamic sharing technologies to promote the U.S. mission and industry abroad. We believe the National Spectrum Strategy should not only adopt a flexible spectrum management policy for U.S. operations, but also emphasize the importance of promoting the use of such flexible policies in other regions of the world, including through international regulatory and standard-setting bodies. Promoting the use of flexible spectrum management policies would advance the export of business models, products and services developed by U.S. industry and aid in ensuring that Federal users are able to continue to access spectrum bands critical to their missions, even as foreign administrations reallocate bands for other uses. The National Spectrum Strategy should leverage and extend existing research and development and standards work to maximize the effectiveness of the spectrum management paradigm. We ask that NTIA ensure the National Spectrum Strategy promotes the use of open standards and automated enforcement mechanisms to facilitate the efficient use of spectrum. The WInnForum is a great example of how this can be done. We also believe in cross-stakeholder RDT&E to ensure the CBRS spectrum is used as densely and efficiently as possible. The race to 5G is on, and we’re ready to do what we can to make sure the U.S. hits its stride. We look forward to working alongside NTIA and Federal users to ensure we are providing sustainable, flexible spectrum access for all those who need it – Federal and non-Federal users alike. Jennifer McCarthy is responsible for the company’s regulatory and government affairs agenda. Jennifer is a telecommunications regulatory attorney with over 25 years of experience in the wireless sector having held a variety of government affairs, business development, and operations positions for several of the industry’s leading technology innovators. Most recently, Jennifer was with MVP Capital, working with wireless spectrum license holders, TV and radio station owners, and other online content service providers on a variety of M&A projects. Prior to that, Jennifer was Senior Vice President of Regulatory Affairs and Operations for NextWave Wireless Inc. and part of the executive management team of MediaFLO USA Inc., a subsidiary of QUALCOMM Incorporated, where she identified, purchased, and cleared the TV Channel 55 spectrum used to deploy the nation’s first network dedicated to the reception of mobile television programming and other multimedia services. 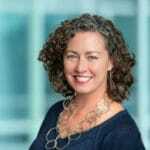 She was also the head of QUALCOMM’s international government affairs team responsible for regulatory and international trade strategy at the International Telecommunications Union and related organizations. Early in her career, she worked with Freedom Technologies, Inc., a boutique Washington, D.C.-based telecommunications consulting firm and its associated law firm. Ms. McCarthy has a B.A. in political science from Yale University and a J.D. from Georgetown University Law Center. She is a member of both the California and Washington, DC Bars.